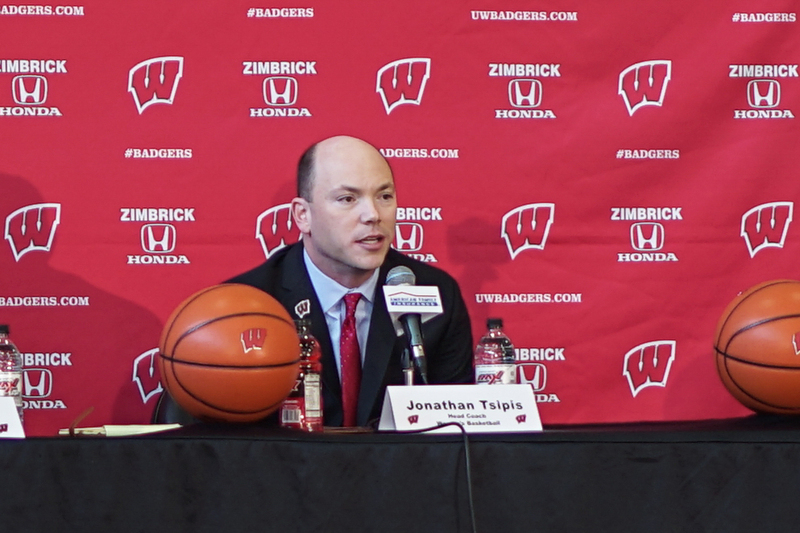 University of Wisconsin women’s basketball head coach Jonathan Tsipis had a clear message for his players and the media during his Monday afternoon press conference — this season isn’t over. The new head coach stressed that as long as there are games left on the schedule, there is massive potential for improvement. The press conference comes following another tough week for the Badgers (5-18, 0-10 Big Ten), in what has already been a disappointing run through conference play so far. The Badgers haven’t won a game in their last ten tries and have yet to put a conference victory on their resume to date. 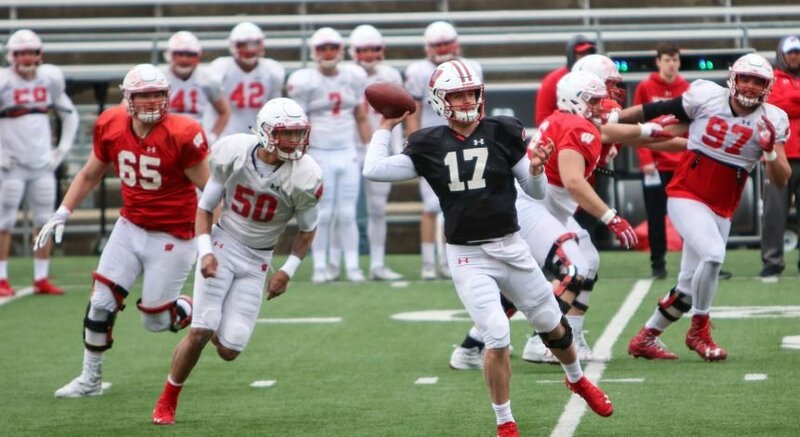 Despite all that, Tsipis remained optimistic and chose to pull out some positives from last week’s losses against Northwestern University and Ohio State University. One of those bright spots was the play of junior guard Cayla McMorris, despite her 0-9 shooting Saturday against Ohio State. Tsipis spoke on McMorris’ continued aggressiveness and commended her effort in finding other ways to affect the game even when her shooting stroke wasn’t dead on. 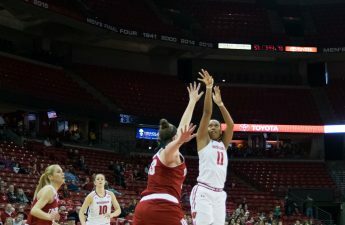 McMorris’ aggression this weekend paid off as she was able to make it to the charity stripe on fourteen separate occasions, going an astounding 14 for 14, the third best mark from the free throw line in Badger history. What’s even more surprising is that she did this on a night where otherwise, she didn’t hit a single shot from the field. Tsipis’ comments on McMorris reiterated the attitude he has preached over the course of this season. Tsipis is looking for continued effort and improvement from his players and as long as he gets that, he’ll be satisfied no matter the final stat line or win-loss record. Looking forward, things don’t get any easier for the Badgers as they travel to Ann Arbor Sunday to play the University of Michigan after a date with the University of Nebraska at home on Thursday. Tsipis and company aim to turn their optimism into some positive on-court results against a Wolverine team they’ve already lost to by 17 points at the Kohl Center earlier this season. Tip off for Nebraska is set for 7 p.m. in Madison and 1 p.m. CT in Ann Arbor. The game Tuesday will air on BTN Plus while the game Sunday is set for prime time on BTN.